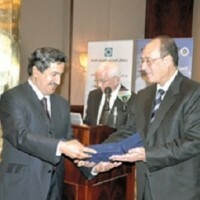 The Arab Water Council honored leading Arab water ministers and officials at a special event held for World Water Day in Cairo on 20 March 2010. His Royal Highness Prince Khaled Bin Sultan Bin Abdulaziz was honored by an award which Dr. Abdulmalek Al Alsheikh received on his behalf. Many leading figures in the British water world braved record snowfalls to attend the ‘Prize Day’ which was held by PSIPW in cooperation with Imperial College in London on Wednesday, 6 January 2010. 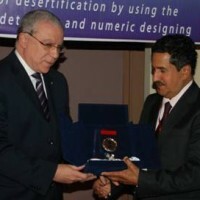 The 2009 Geo-Tunis Scientific Award was conferred upon the Prince Sultan Research Center for Environment Water and Desert (PSRCEWD) on the occasion of the 4th Annual International Congress of Geo-Tunis which was held in Tunisia's capital city from 16-20 December 2009. 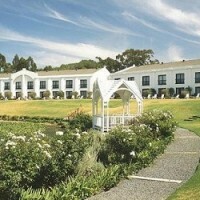 The Prince Sultan Bin Abdulaziz International Prize for Water was a principal sponsor for the 2009 Biennial Groundwater Conference which was held from 16-18 November at the Lord Charles Hotel in Somerset West, South Africa. 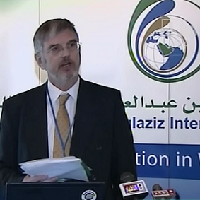 On 30 October 2009, the Council for the Prince Sultan International Prize for Water held its first meeting for the Fourth Award of the Prize in the city of Delft in The Netherlands.